Today’s 22nd of Srabon,76th death anniversary of Rabindranath Tagore of the World Poet. 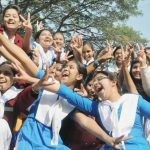 Various organizations and organizations have taken various programs including government and private capital Dhaka, along with various programs and organizations, on the occasion of celebrating the due dignity. 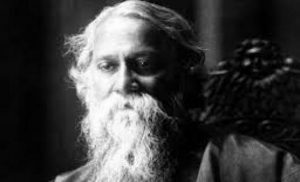 Rabindranath Tagore, one of the greatest literary writers of Bangla literature, was born on 7 May 1861 (Baishakh-1268) in the Jorasanko Tagore family of Kolkata, West Bengal, India. 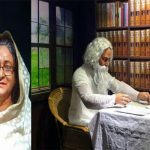 His father’s name Debendranath Tagore Mother Sarada beautiful goddess Rabindranath’s ancestors lived in Pithavogh in Rupsa upazila of Khulna district. Sraban (English August 7, 1941), Bangla 1348, died on ancestral house in Calcutta. Rabindranath Tagore is a poet, novelist, playwright, musician, essayist, philosopher, linguist, painter-storyteller. At the age of eight, he started writing poetry. His first poem ‘Abhilash’ was published in ‘Tattabodhini Patrika’ in 1874. He was a great creative writer and a litterateur as well as in the contemporary world. Writes Bangla and English Language. His literary works have been translated into different languages ​​of the world. His writings were included in the syllabus of different countries. In 1878, his first poetic poem ‘Kabikahini’ was published. From this time the writing of various genres of poet has been published in newspapers and newspapers abroad. His ‘Gitanjali’ poetry was published in 1910. He received the Nobel Prize in literature for his English translation of this poem in 1913. Along with writing, he founded Brahma Shisham in Santiniketan in West Bengal in 1901. Since then, he started living there. In 1905, he became involved in anti-partition movement. In 1921, an organization named ‘Sriniketan’ was established for rural development. Vishwa Bharati was officially established in 1923. From 1891 onwards, the poet started supervising zamindars in Shilaidah, Pabna, Natore and Orissa in Kushtia. She spent a long time in Shilaidaha. He wrote numerous poems and songs in the zamindar house here. In 1901, the family moved from Shilaidaha to Santiniketan in Bolpur. The poet composed two thousand songs. Most of the songs have been composed. His entire song is in the book ‘Gitbitanan’. Poet written in ‘My Sonar Bangla i love you’ is the national anthem of Bangladesh. The Indian national anthem is also written by the poet. In his lifetime, his original collection of poems is 52, novel 13, short story books 95, essays and prose books, 36 plays and 38 plays. After the death of poet, ‘Rabindra Rachanbali’ was released in 36 volumes. Apart from this, there are 19 volumes of “Rabindra correspondence.” From 1928 to 1939, the number of works of poetry painted more than two and a half thousand. Of these 1574 paintings are preserved at the Rabindranbagh of Santiniketan. Kabir’s first exhibition was held in Paris in the Piggy Art Gallery in Paris in 1926 by the artists of South France. On the occasion of the 76th death anniversary of world poet Rabindranath Tagore, the Bangla Academy organized special lecture and cultural programs in the auditorium of Abdul Karim on Sunday afternoon. The lecture on ‘Environment, Construction Cultural and Rabindranath’ will be given by the renowned architect of West Bengal, Rabindra researcher and environmentalist Arunendu Bandyopadhyay and Sudhenda Bandyopadhyay. The Chief Guest will be the Secretary of the Ministry of Culture. Ibrahim Hossain Khan. Bangla Academy President Emeritus Professor Anisuzzaman will preside. Artist Kaderi Kibria will then perform Rabindra music. 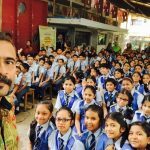 Apart from this, Shilpakala Academy has organized talks and concerts of ‘Rabindranath and Bangabandhu’. Director General of the academy Liaquat Ali Lucky presided over the meeting as a lecturer and researcher Dr. Hayat Mamud The Rabindra Sangeet Art Institute, Shishu Academy, also organized various programs of Bangladesh. Meanwhile, Chayant has organized a memorial ceremony. The ceremony will start at 7:00 pm at Chayant Bhawan.